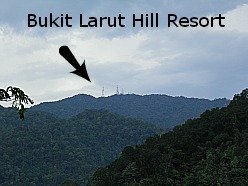 Bukit Larut Hill Resort, or Maxwell Hill, was created in the 1880s under the direction of William Edward Maxwell who was Assistant Resident of Perak at the time. He found this location, with its cool climate and splendid views, at over 1000m above sea level in the hills overlooking the town of Taiping. Several bungalows were built there and upkept by the Government for the use of European planters and their wives to relax and escape the tropical heat and humidity of the plains below. Out-station visitors had to obtain permission to stay in the bungalows from the Secretary to the Resident. The long, winding and steep path to the top could only be travelled on foot (four hours) or by being carried in a sedan chair (which only took three hours due to the fitness and stamina of the sedan chair porters). 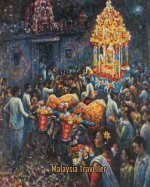 A guidebook from 1914 informs that 'chairs and coolies can be arranged by the firm of Taik Ho & Co', a family business whose descendants are still in operation today. 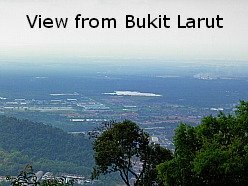 Bukit Larut was gazetted as permanent forest reserve in 1910. The sedan chairs are no more and the path was widened for vehicle use after WWII. 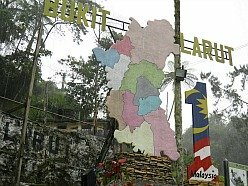 Private cars are not allowed on the road which is probably sensible as it is 13km long and very narrow with 72 hairpin bends as it winds its way up for 30 minutes to the Bukit Larut Rest House at 1036m. 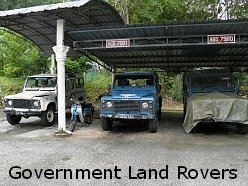 Visitors have to travel up and down in Government-owned Land Rovers. This service runs infrequently from 8am - 5pm. It costs RM10 for an adult return journey. Since seats are limited the Land Rovers can get fully booked at weekends and public holidays so it is sensible to arrive early (around 7am) if you want to be sure of getting tickets. 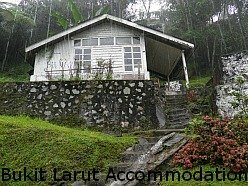 Call the Bukit Larut Recreation Office on 05-8077241. If the Land Rovers are fully booked it is still possible to walk provided you are feeling fit. Allow 7 hours (serious exercise!) for the round trip walk. The old bungalows are still there and available for rent. They provide a roof over the head but are fairly basic. You need to take your own food. A new hostel was built recently which can cater for 70 visitors. It may have a restaurant. 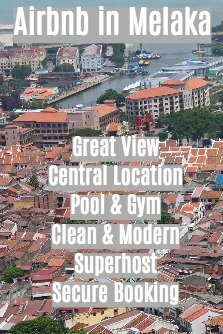 You can try the same phone number to enquire about accommodation rates and availability. 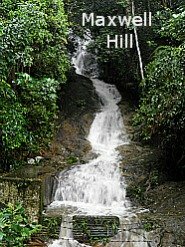 Maxwell Hill is suitable for a getaway-from-it-all break but there are no entertainment facilities. Hiking, bird watching and admiring the spectacular views are the main activities here. There is a playground, a Hindu Temple and a jungle trail to Gunung Hijau (1449m). Bear in mind that this is one of the wettest places in Malaysia with 98 inches of rain per year. Heavy afternoon downpours are common. A good way to visit is to catch the early morning Land Rover and come back down again before the clouds block out the view. There was some talk of building a cable car from the base of the hill but as far as I am aware nothing has progressed on this proposal.